In 2018, SKUBA RACING TEAM made their debut in Baltic Endurance Championship with their BMW M3 Bigdaddy V8. The team were always among the fastest ones but had some bad luck with different technical problems, except the “Riga Summer Race” 6 hour challenge where they achieved skillful and beautiful victory becoming the North European zone champions! We met up with team’s manager Tadas Ivanauskas to talk about the 2018, being a race team’s manager and team’s future plans in the North European Zone endurance championship! How would you describe 2018? There were some technical faults in first races and then a splendid victory in August. Don’t really want to mention the Parnu race..
T.I. Roller Coaster season would be the phrase which would describe it best. Have you gone to conclusion what really happened in Parnu? How badly was the car damaged? T.I. Front suspension arm pivot on the knuckle broke and the rest was well seen on the livestream… Damage would be best described by saying that there is only a slight possibility that the car will be on race track again. What it takes for a team to achieve victory in an endurance race? Key moments for the victory? T.I. Our preparation for BEC season started in November 2017. Engineering and building of the vehicle took more than 3 years. It is an enormous amount of working hours, heart and commitment put in this project. All team, each member of the team is a key moment for the victory. We have heard people talking that endurance racing is boring and there is little to none door to door racing on the track. What would you answer to those people? T.I. Blablabla. Endurance racing is growing all around the world because it is much more exciting and there is much more needed to achieve victory from each team member, starting from the tyre guy and ending with pilots. Also, it needs a lot of preparation and many other skills – quick decision making, good strategical skills and ability to adopt to changing situation, etc. I can not agree absolutely – saying that endurance is boring means that the one who says it is an amateur in racing. Have you had a moment in a race when you would like to step in and sit behind a wheel? How stressful is to watch your team compete against best in Baltics? T.I. Never wanted to sit behind the wheel as every member in the team has to do what he can do best to achieve victory, I am more than sure that my pilots are way better than me, but I have other skills [laughs]. 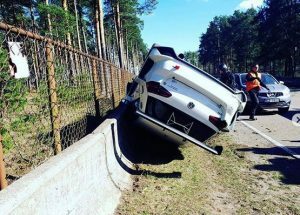 Tell us more about your drivers Dziugas Tovilavicius and Karolis Siksnelis. 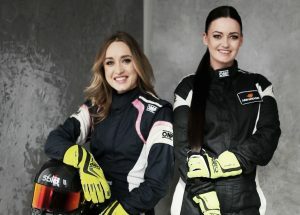 How do you describe them as race drivers and what do they do outside racing? T. I. Dziugas Tovilavičius is my colleague in our Racetech crew involved in many activities we do – development and production of parts for racing vehicles, sales, etc. 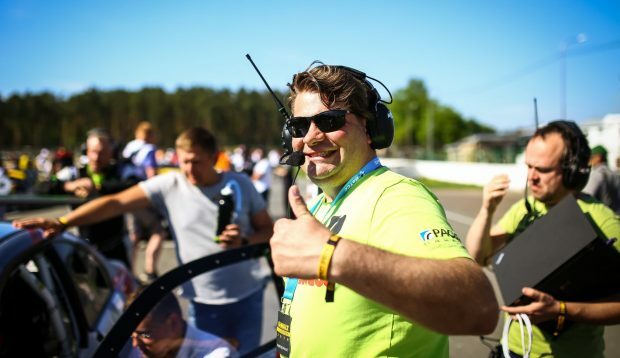 Karolis Šikšnelis is leader of company UAB I-Service and President of Lithuanian Karting Federation. I would describe them as nice and open persons, my friends, true members of the team and good pilots. BMW M3 BigDaddy is a nice car, but it looks you have other car/-s planned for 2019? Will we see Skuba Racing Team in North European Zone championship? And what are the aims for the team? T.I. BigDaddy is/was the Best and fastest car in Baltics – no questions. True piece of engineering art and an example that if you put it all you can do, really impressive things happen. There are some plans but nothing certain yet so there is not so much to talk about. It might be that our team will have more than one car and we are thinking of participating in door-to-door racing too. 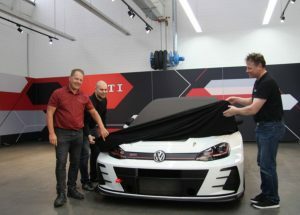 Big possibility, that it will be with TCR cars. Why TCR cars are getting so popular around the globe? Also, in Baltics we will see a lot more TCR cars next year. And not only from Baltics but from Finland and Russia too. Why they are so demanded? T.I. It is simple, not expensive, cheap to run vehicle, which is well engineered by factory engineers. All this helps to be really fast on track. But strongest argument is that all around the world, BoP is well controlled and monitored which allows really equal conditions for pilots to compete in door-to-door racing. You have a very professional team that uses a lot of latest technologies to set up a car. Can you reveal a secret how do you use data to maximize performance of the car, lets say in Bikernieki? T.I. Wow, I can write a book to answer it. Data acquisition and analysis is a must in any racing discipline and especially in endurance racing. It does not only help to setup the car but also helps pilots to gain speed. As an example, we have infrared tire temperature sensor which measures temperature in 3 places on the tire (sides and center), analysing this data, comparing temperature differences helps in understanding if a camber/toe of the car is correct or it needs adjustment. When you run not minutes but hours on tires it can become crucial not only for the result but also for the team budget. Drivers compare their laps and data analysis system immediately shows where they loose or gain comparing to other driver/s – lower or higher gear, braking point, apex speed, all can be extracted and corrected in the next outing. Data analysis is an enormous source that helps to improve but also You need really strong skills to understand and make correct changes from what you get, we are lucky to have our friend and engineer Andrius Kontrimas with us in a team (XtraMotorsport) whom I would politely call data freak. To be fair – because of human source limitations – our data analysis amount is entry level when compared to LeMans or F1 team, but when You start doing this You never can stop, because gains are so obvious. What is your personal idol in Motorsports, not just race drivers but managers as well. Maybe Mr Ecclestone? T.I. No, not him but Motorsports legends – Sebastien Loeb and Ayrton Senna. How do racing teams(not just drivers) celebrate victories in the races? T.I. Our team is a real family – we live in the same hotel, travel together and party together. May sound strange, but because of other activities we celebrated NEZ championship in Mcdonalds on a way from Riga To Vilnius with Big&Tasty + cola . Sometimes other meals and beverages are selected [laughs]. To what music do you listen between racing events and during racing weekend? Link to Tadas Ivanauskas Spotify list find HERE.